Two European development banks financing construction of a controversial dam project in Honduras have pulled out following the murders of local activists including Berta Caceres, a 2015 winner of the prestigious Goldman Environmental Prize. The Netherlands Development Finance Institution and the Finnish Fund for Industrial Cooperation said in a joint statement Thursday that the decision to halt their involvement in the Agua Zarca dam was reached after extensive local and international consultations. The statement said the banks believe the dam would be a positive development for nearby communities and the Central American nation. They expressed hope that a dialogue will emerge in which local stakeholders decide whether they want the project. "The lenders' exit from the project is intended to reduce international and local tensions in the area," it read. Caceres, a 40-year-old activist who was awarded the Goldman prize for leading a years-long fight against the dam, was killed in March 2016 by gunmen who invaded her home. The dam was to be built on the Gualcarque River, considered sacred by Caceres' Lenca people. Two weeks later another activist from her indigenous organization known as Copinh, Nelson Garcia, was killed. And last July the body of another Copinh activist, Lesbia Janeth Urquia, was found. Among those arrested in Caceres' killing was a security employee working on behalf of dam developer Desarrollos Energeticos SA, or DESA. However in announcing their withdrawal, the development banks said "no proven connection has been established between DESA and allegations regarding any illegality." The London-based environmental rights organization Global Witness applauded the decision but criticized the lenders for not acting earlier. "These same investors were silent when dozens of death threats were made against (Caceres). ... Investors have a duty to speak out when activists opposing their projects are threatened," Global Witness campaign leader Billy Kyte said in a statement. 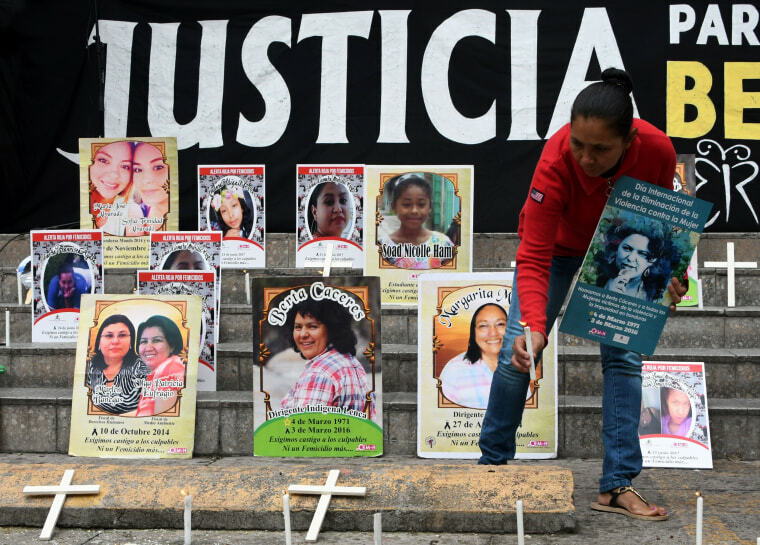 The organization says Honduras is the world's most dangerous country per capita for environmental activists, with 120 of them murdered since 2010.